Patricia is currently exhibiting her work along with 5 other well know artists at The Art Room in Barlow, Nr Chesterfield. This is a beautiful gallery in a stunning location with wonderful far reaching views, well worth a visit. The exhibition is open daily 11am until 4.30pm from 5th to 10th June 2018. 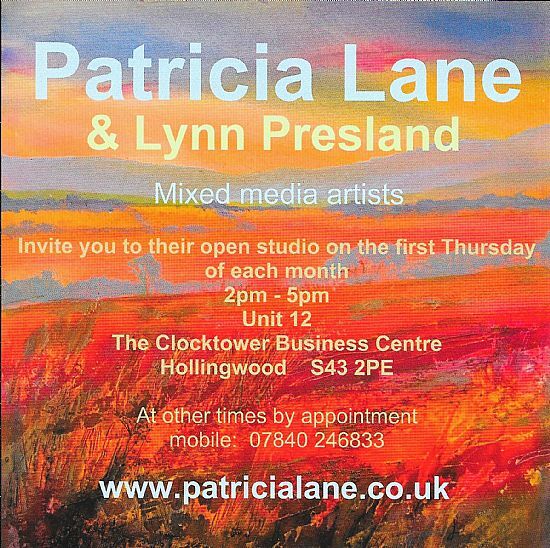 Each artist will available to discuss their work at the gallery at times during the exhibition, Patricia will be there on Friday 2pm - 4.30pm and all day on Sunday the 10th.